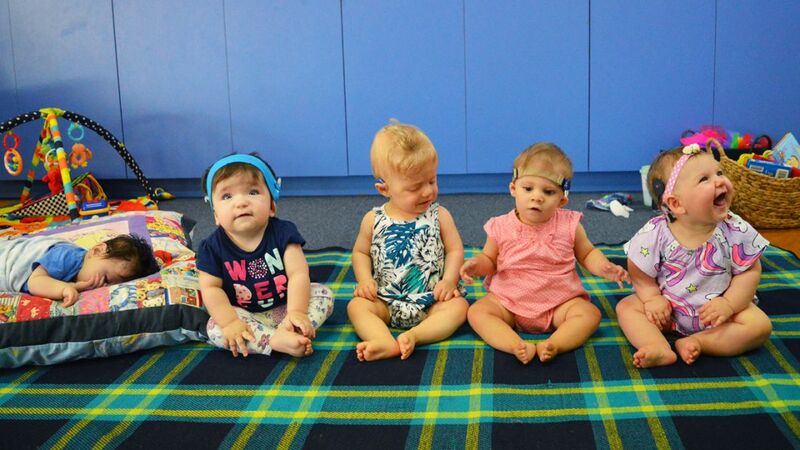 Eight mothers, who all have a child with permanent hearing loss, have decided to fundraise for Telethon Speech & Hearing in support of the program which is helping their child learn to hear and speak. Each family will participate in the HBF Run for a Reason this May. All children are currently enrolled in the Chatterbox Program at Telethon Speech & Hearing – an early intervention program for children with hearing loss. Using a multi-disciplinary approach, families have access to both individual and group therapy sessions to focus on developing their child’s listening, speech and language skills. So far, the mother’s group has raised over $5,900 for Telethon Speech & Hearing and hopes to raise much more before the HBF Run for a Reason event in May. Help our families to fundraise for TSH and donate to the ‘Telethon Baby Grow and Connect Playgroup’ online. Click here or copy and paste the following link in your browser: https://hbfrun2018.everydayhero.com/au/telethon-baby-grow-connect-playgroup.